Feel the RUSH when you see this fast and visual change. Not only a change but a switch, vanish and back design change. One clever gimmick will add all of this to any deck of cards. Simple, Visual and Direct. 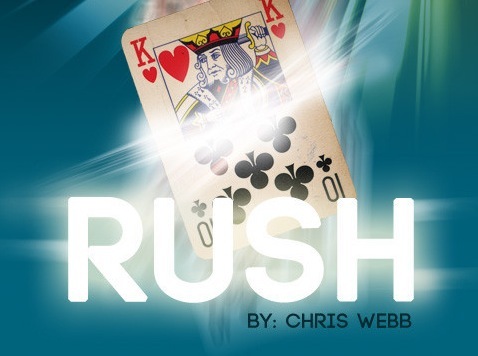 Chris Webb's Rush allows you to do incredibly visual card changes, switches or vanishes with minimal sleight of hand. The cleverly designed and hand crafted gimmick does almost all the work for you. All you have to do, is enjoy your spectators amazement, and have fun with this neat tool.